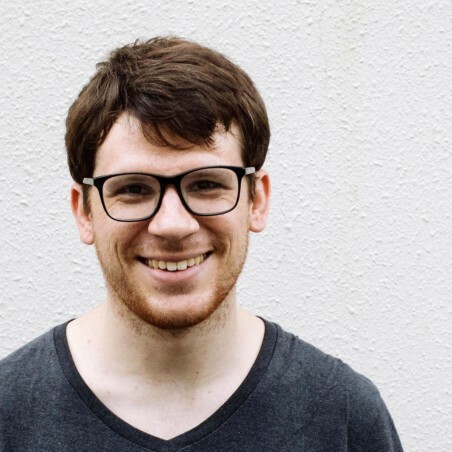 One of my favourite blog posts on the internet is Steven Luscher‘s guest post on the Babel blog, React on ES6+. It manages to be both incredibly helpful and easy to understand, while being short enough that when you hit the end you’re like “wait, is that it?”. And as it happens, one of the most frequent requests I get is for an updated version of my React cheatsheet, showing the newer React component syntax using ES6 classes and React.Component. Click to get the full PDF. No mailing lists or other funny stuff. 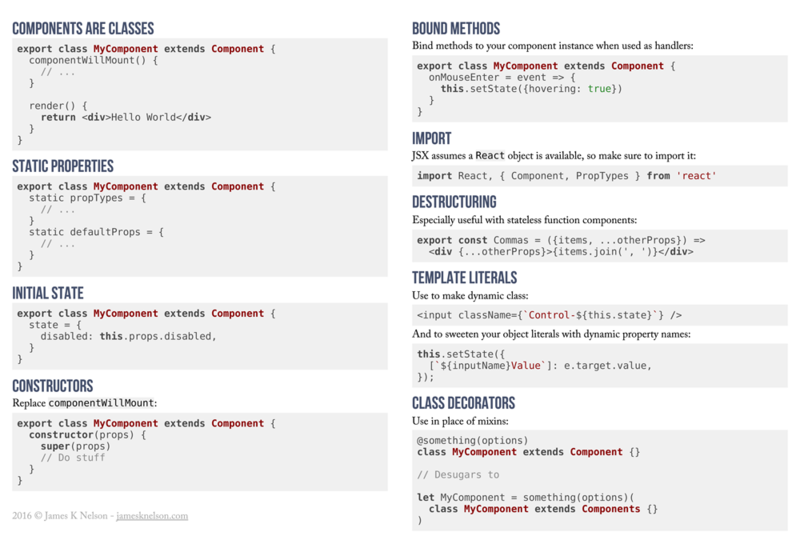 ← Should I use React.createClass, ES6 Classes or stateless functional components?